It is difficult for us to accept the imperfection of the world. We want there to be some kind of guarantee of stability. We may not be perfect, but at least someone should be, so that they can provide an example for the rest of us to follow. It can therefore be especially difficult to come to terms with the fact that things do not always go well even in clergy families. 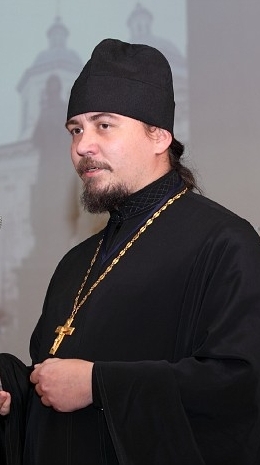 Archpriest Dmitri Karpenko, secretary of the Diocese of Gubkin and rector of the Church of St. James in Gubkin (Belgorod Oblast, Russia), offers the following response to an account written by the former wife of a priest (matushka) who endured a psychologically, spiritually, and physically abusive marriage for eleven years before seeking a divorce. The husband, who claimed that he had married her only out of “obedience,” eventually took a lover. During this entire ordeal, each time the former matushka sought advice from a priest or spiritual father, she was greeted with the same familiar refrain: “endure, pray, and humble yourself.” It is in reply to this and similar cases that Fr. Dmitri offers what follows. There is a saying that is perfectly suited to these kinds of situations: “There are no unsolvable problems, only unpleasant means of solving them.” Such egregious situations can be resolved, but of course the means will be completely unpleasant. If the husband is behaving in an inappropriate manner, if he has a mistress, and if he is not prepared to change, then one has to admit that the family has already fallen apart, that it is no more, that it no longer exists. Even if it has been sanctified by the Sacrament of Matrimony, this is still no guarantee that the family will not fall apart. Alas, this can happen in any family, including that of a priest. The fact is that the lives of clergy families are not immune to such situations. There are various contributing facts here, including how well churched a person is when he gets married or accepts ordination. It can happen that this is done without any inner preparation. There is another problem in Orthodox families: marriage “by blessing” [of a spiritual father]. But when there is no love – the main and only condition for creating a family – then sooner or later family relations are going to reach an impasse. 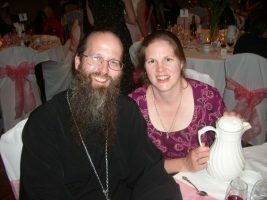 Families made up of people who consider themselves Orthodox Christians are no exception. Just as the Sacrament of Matrimony does not offer any guarantee that the marriage will be happy and not fall apart, so too the Sacrament of the Priesthood does not guarantee that this man will become a “holy father” by virtue of his ordination. This means that, if the family no longer exists, one must proceed from this situation, taking this harsh and unpleasant reality as a given. And if a man is no longer a husband (a relationship in which a man makes a mockery of things, in which he lives with another woman, is not that of a husband and wife), then one needs to get divorced. If there is no family and no relationship and yet one does nothing about it, then one is deceiving oneself. A woman in such a situation needs to get divorced and to start a new life, taking into consideration that she is alone, that she needs to raise her children, and that she needs to seek help not from her husband, but from her parents (if there are any) or from others. Here everything depends on the concrete situation. She needs to think of where to live, of how to find work, and so on. She needs to proceed from the circumstances in which she finds herself. If someone begins to threaten her (here it does not matter whether or not she is a matushka) that, if she goes to court or to the bishop, they will have it in for her, then she needs to understand that things are very bad indeed. Nothing “good” will come of this. Nothing will resolve itself on its own. This needs to be understood clearly. She must try to document any kind of threat or blackmail made against her, for instance by recording it on tape. Today’s technology allows this to be done. And she should approach the police and the courts. Then it is essential to inform the bishop; moreover, to do so in writing, in order that the petition be placed on record. This is a list of unpleasant procedures one would rather not talk about. But getting out of this filth is as essential as getting out of a swamp. You will certainly get dirty, but there is no other way. Otherwise you risk drowning completely. In our Orthodox tradition it is somehow thought that the family needs to be preserved in any situation, that divorce is something sinful. In actual fact, divorce is like a surgical procedure, like an amputation – unquestionably unpleasant, but in some cases (not too many, but they do exist) without which the person might simply die. This is the case here. Sometimes if a woman does not file for divorce then her life (especially if she has children) can be ruined spiritually, mentally, and physically. The life of our clergy is generally a closed book; no one deals with the problems faced by priests and the members of their families. For instance, I have read studies about burnout syndrome among priests, about depression and other psychological and physiological problems of the priesthood. There is no one, or practically no one, who deals with all this. In cases of real problems there is no one in particular to whom to turn, especially outside major cities. There is no one to consult with, no way to receive qualified assistance – either pastoral, psychological, or spiritual. It can happen that some “spirit-bearing elder” might tell such a matushka: “endure.” And then she does endures, because this priest is good, highly respected, and does not give out bad advice. But he could be wrong. Following his advice (or that of anyone else who gives this advice) can mean ruining your life. We have no guarantee that we can simply read such-and-such a prayer and that our lives will then go smoothly. Here it should be understood that it is not this priest, but you yourself, that is responsible for what goes on in your life – not this priest, not some other respected person, but you yourself. The Lord has given us life, He has given us reason, He has given us the ability somehow to perceive this world. We need to be responsible for our own actions, for our own spiritual condition. We should not be afraid of this; but, counting on the will of God, we should make our own decisions.